What ever we rate in our family (books, legs, food, music, football players, films, wines), no person, no novel and no plate of homemade pasta ever receives the highest score. Not because of my critical Swiss genes, but because of my Tuscan native, who insists that 10 out of 10 is impossible to obtain. Okay, maybe Diego Maradona in his most stellar moments... but generally let's face it, we can't compete with the gods. However we look, and whatever we do or produce - we're mere mortals, true perfection is beyond our means. So imagine my surprise when I heard about a Brunello di Montalcino Riserva getting the highest rating possible. I guess the expert tasters of the Italian Espresso guide must have been flabbergasted themselves when scribbling down that 20 out of 20 on the score card of Poggio di Sotto's Brunello di Montalcino Riserva 2006. However, the tasting team's vote kind of confirmed our theory: the Espresso Vini d'Italia 2013 guide rates thousands of wines from all over Italy, but only one achieved the highest score. Looking at a map of Italy in a wine guide, Tuscany normally arrives second in regard to premiere league wines produced, whilst Piedmont keeps blocking off the pole position, mainly thanks to its excellent Nebbiolo (Barolo and Barbaresco) wines. However, at least in the 2013 Espresso guide, Tuscany towers above'em all. Thanks to Piero Palmucci. The ex-owner of Poggio di Sotto may have been one of the most unpleasant winemakers I ever met, but he obviously knew what he was doing. The Collemassari estate must feel rather smug right now. They definitely didn't buy the cat in the sack, when putting in the bid for Palmucci's organic vineyard last year, once the winemaker had announced his plans for retirement. You'd like to try the wine? I doubt Poggio di Sotto will open up that Riserva 2006 for the casual passerby. Perfection has its price. 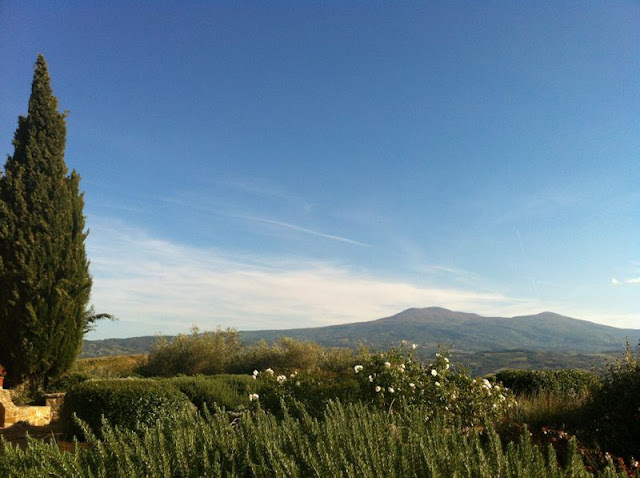 Nevertheless, the estate's lovely staff does a great visit with the possibility to taste some of Poggio di Sotto's outstanding wines (all organic), and - last but not least - the winery's location offers an amazing view over the surrounding countryside. Poggio di Sotto, Castelnuovo dell'Abate, Montalcino. Visit and wine tasting 15€ per person. If you want to go the whole nine yards, don't stop with Rosso and Brunello di Montalcino but also taste Collemassari's wines from the Maremma and Bolgheri (at least if you travel with a chauffeur). To sober up after the visit, make sure you take the time to listen to some Gregorian chanting at close by Sant'Antimo abbey. 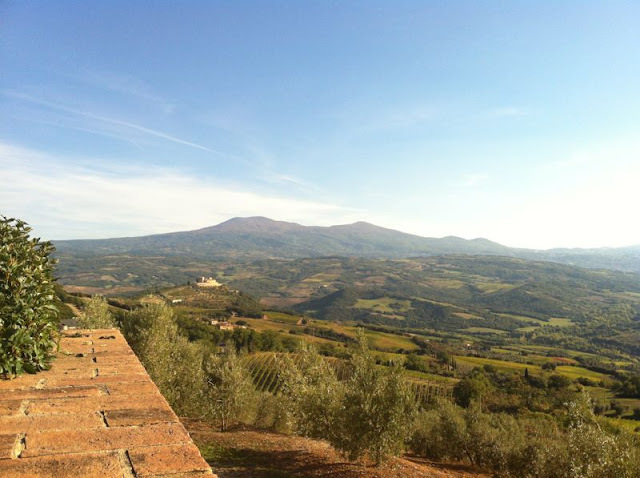 For wine aficionados below the names of the vineyards, which received top scores for their Brunello di Montalcino in the 2012 edition of the Espresso guide. Interestingly the only Rosso di Montalcino on the list is again by Poggio di Sotto (you may be able to taste that one at the estate). If you'd like to read up on the rest of Italy's top scoring wines, click through to the Intravino blog for a preview of the Vini d'Italia 2013 Espresso guide.